Westminster-based venue managers and event coordinators swirled, sniffed and slurped through a line-up of seven quality wines at an enjoyable tasting evening with on- and off-trade supplier McKinley Vintners earlier this week (Weds 19th June), at Trafalgar Square church, café and events venue St Martin-in-the-Fields. Hosted by Louise du Bosky, marketing and brand manager for McKinley Vintners, guests, who were all from venues within The Westminster Collection (TWC), tasted varieties including Domaine Clavel Régulus rouge 2010, Côtes du Rhône, Château La Mascaronne “Quat’Saisons” rosé 2010, Côtes de Provence and Ca ‘Ongaresca Spumante Rosé Brut within the beautiful oak-panelled surrounds of St Martin’s Hall. The star of the show was the Champagne Gosset Brut Excellence NV, combining Chardonnay, Pinot Noir and Pinot Meunier grapes. Champagne Gosset is the oldest wine house in Champagne, established in 1584. Intense, elegant and warm on the nose, with very fresh floral notes of honeysuckle, wisteria, white jasmine and vine blossom, this Champagne rapidly gives way to mature, fruity aromas, from delicately perfumed, melt-in-the-mouth garden pears to the sweet, more identifiable perfumes of exotic fruits like pineapple, guava and mango. Swirling releases subtle hints of butter and caramel, followed by a warm fragrance of gingerbread and cinnamon. On the palate it has an earthy taste with the subtle fragrance of cinnamon, cardamom and green pepper. Its finish is smooth, with delicious flavours of candied fruit, cinnamon cake and liquorice, making it an ideal accompaniment to saltwater fish, poultry, duck or rabbit. St Martin-in-the-Fields’ in-house head chef Adam Ismael and team excited with carefully crafted canapés, including mini chargrilled venison burgers served in a mini brioche bun with crispy pancetta and blue cheese, seared scallop served on crispy potato cake topped with pickled quail egg and chive hollandaise, and warm smoked salmon profiteroles glazed with paprika parmesan. Guests were later taken on a tour of the rooms available for hire for weddings, private events, meetings, conferences and dinners at St Martin-in-the-Fields. The intimate, vaulted ceiling and exposed brick Gallery space looked stunning adorned with the vibrant works of artist Mark Weighton’s The One and the Many exhibition, while The Crypt was busy with jazz fans awaiting the sca and Latin funk sounds of 9-piece band Maroon Town. This weekend, St Martin’s will see its brand new Café in the Courtyard crane-lifted into position in the open terrace directly behind the church. Its grand opening will take place on Monday 24th June, at 10am, when lunch will be available from 11.30am-2pm. In the evening the Café in the Courtyard will be the perfect place to relax with friends over a glass of wine and a meal and to watch the world go by. Find out more about holding an event at St Martin-in-the-Fields here. The Westminster Collection brings together the finest meetings, conference and events venues in the City of Westminster, a large area of Zone 1 central London which encompasses major landmarks, world famous shopping streets, beautiful parks and an assortment of restaurants, attractions and entertainment. 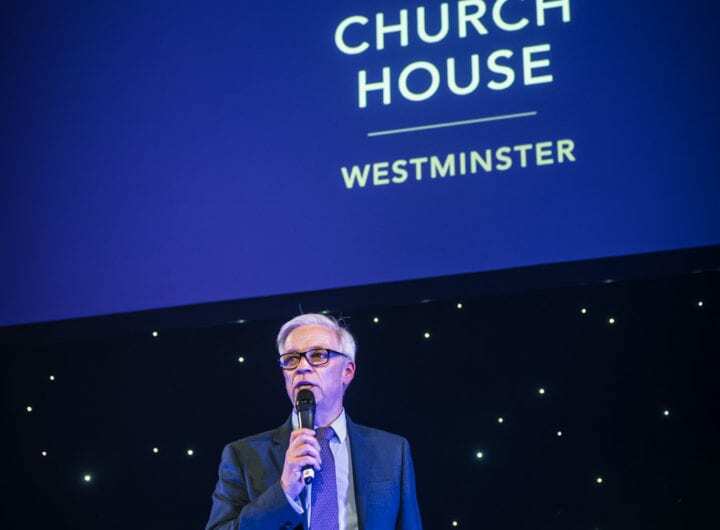 Through our free online venue enquiry service, events and marketing communications programme, TWC aims to promote the benefits of doing business in Westminster and be a trusted enquiry mechanism for event organisers, event agencies, corporate and association buyers.